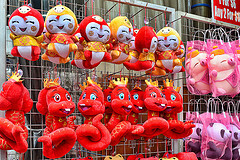 Home >> Chinese culture >> Happy year of the snake! Posted | Comments Off on Happy year of the snake! If you think the holiday season in the US is crazy, you should see how it’s done Chinese style. 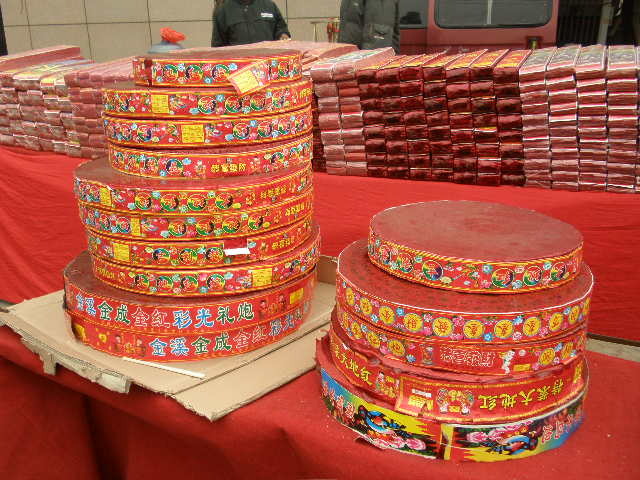 The next weeks in China will be filled with food, lights, temple fairs, displays, fireworks and firecrackers! It will be colorful (mostly red) and loud! All day and all of the night. The Chinese zodiac has 12 animals, and combined with 5 elements, you get a cycle of 60 years. So last time it was Water snake year was in 1953, and that should give some ideas about what we can expect the coming year. As usual they predict a year filled with some good stuff and some bad. Who would have thought. Basically there are two important things you can learn from the snake: You never know where it’s heading. Suddenly it changes direction, so this year you just have to be prepared for a lot of twists and turns. Learn how to navigate in murky waters and you’ll be fine, especially if you do your research and stick with good people. Also, the snake sheds its skin. So can we, get rid of the old and step out in a new shining self. Maybe this is the year to let go of old inhibitions, make dreams come true and show the world who you are! My favorite Chinese new year rule (other than eating tons of jiaozi) is not to sweep the floor or do any cleaning the days after the new year. You don’t want to sweep out all the good fortune the new year gives you, do you?! Some even extend this to washing of hair. I’ll leave that up to you. And they also say you should wait a couple of weeks before cutting your hair. Well, you never know! One year I did postpone my trip to the hairdresser, thinking I would not take any chances. Since the whole neighborhood had the same idea, it wasn’t actually good luck to arrive at the hair saloon on the designated date, with a horrible grow out, only to find it packed by old women getting their hair dyed, men getting a perm and young guys getting their mohawks trimmed. All conducted by the 20 something year old hairdressers from the Chinese countryside, in their skinny jeans and different shades of bleached, Asian hair. That place never turned down a customer, so I spent the afternoon waiting, looking at the people coming and going, getting snippets of back street gossip and enjoying a cup of green tea. And I did get my haircut that day, a bargain at $2, and was then ready to face the new year. Xin nian kuaile! Happy New Year!